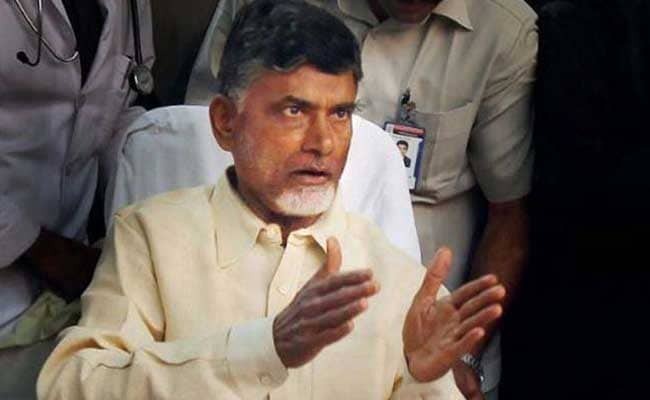 Chandrababu Naidu's TDP exited the NDA and and said it plans to move a no-trust motion.over the party's demand for a special category status for Andhra Pradesh. 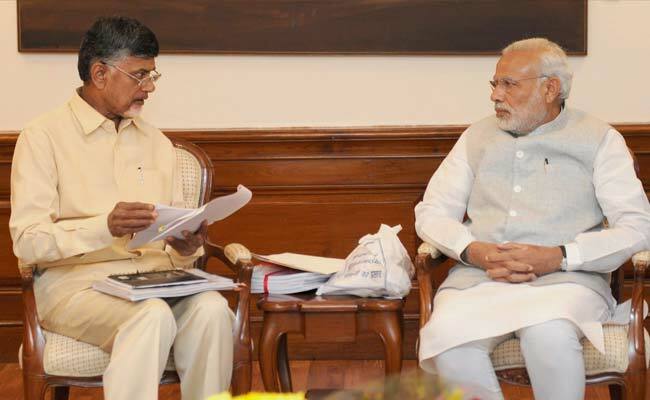 Hyderabad/New Delhi: N Chandrababu Naidu's Telugu Desam Party, which has been in a tussle with the BJP has been complicated for weeks, has quit from the BJP-led National Democratic Alliance (NDA) at the centre. Last week, the TDP pulled its two ministers out of the central government but had stopped short of walking out of the alliance. Chandrababu Naidu has been upset with the centre for not granting special category status to Andhra Pradesh as promised after Telangana was carved out of it in 2014. Special status will mean a large infusion of central funds to help with the state government's plans to develop its new capital Amaravati. Amid a standoff between TDP and NDA, ruling at the centre, Finance Minster Arun Jaitley said today that the central government was "willing to give special status to Andhra Pradesh". "We have been waiting endlessly for a response from Andhra Pradesh to resolve the special package issue," Mr Jaitley was quoted as saying by news agency PTI. He added that centre had always been willing to give a special package equivalent to a special category state to Andhra Pradesh. "There were issues after the division of Andhra Pradesh. If there were issues all these years, then why weren't they raised? This shows merely an opportunistic nature," D Jayakumar, AIADMK legislator from Tamil Nadu Minister was quoted as saying by news agency ANI on TDP's withdrawal from NDA. Shiv Sena chief Uddhav Thackeray is expected to hold a meeting with party lawmakers and senior leaders soon to decide stand on no confidence motion moved by TDP and YSRCP against the central government. RJD leader Tejashwi Yadav also said he supported no-confidence motion against the NDA government. The move was also supported by CPI(M) leader Sitaram Yechury. CPI(M) supports the no-confidence motion being brought against the BJP government. Its betrayal of the promise of special status for Andhra Pradesh is inexcuseable. Its all-round failure and evasion of parliamentary accountability needs to be highlighted. "We have been supporting Special Category Status for Andhra Pradesh since the beginning. We want the people of the state to get justice. When no-confidence motion is moved you have to talk about government's failures. We are contacting a lot of people," Congress leader Mallikarjun Kharge was quoted as saying by news agency ANI after TDP decided to move out from the NDA alliance. Minister for parliamentary affairs Anant Kumar says the government has the numbers and people. "We are confident Narendra Bhai Modi will win. Congress is having selected amensia. They did not allow many no trust motions," he said. "We are ready for a no-confidence motion, confidence motion or any discussion on banking irregularities on the floor of the house," Mr Kumar told Sunil Prabhu, NDTV. 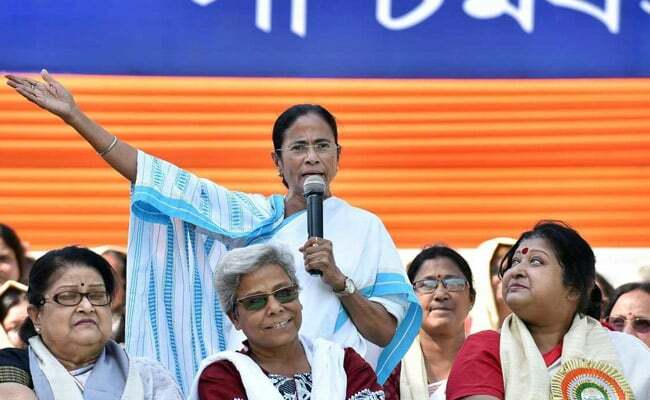 West Bengal Chief Minister Mamata Banerjee today welcomed the Telugu Desam Party's decision to quit the NDA and urged all opposition parties to work closely together against "atrocities, economic calamities and political instability". Government sources on TDP planning to move no-confidence motion in parliament: confident that we have the numbers. Chandrababu Naidu alleged Arun Jaitley suggested TDP was "asking for money at the expense of the country's Defence Budget... Jaitley spoke like we asked for all the money. We felt insulted." Mamata Banerjee tweets: I welcome the TDP's decision to leave the NDA. The current situation warrants such action to save the country from disaster. The BJP had been resigned to divorce - keeping up efforts to placate TDP, its largest ally in the south even as it was seen to flirt with Jagan Reddy's YSR Congress - but the announcement delivers a huge psychological blow ahead of the 2019 national election and at a time other partners like Shiv Sena have been giving it a rough time. 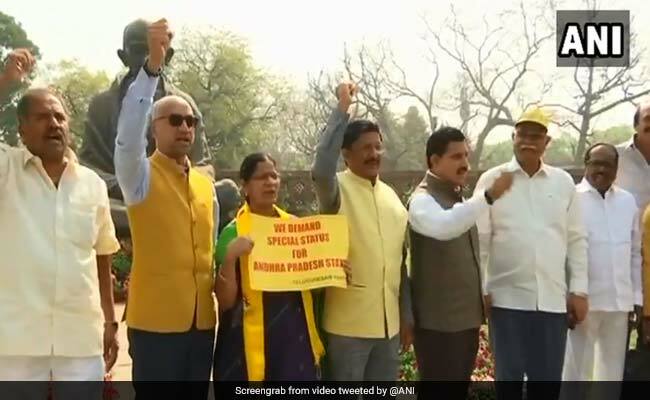 The Telugu Desam Parliamentary Party (TDP) will issue a notice to move the no-trust motion today. The TDP has 16 members in the Lok Sabha, but its pull-out does not threaten the ruling coalition. BJP spokesperson GVL Narasimha Rao tweets‏: TDP's decision to quit was inevitable after its mischievous propaganda against Centre. People of AP have now realised that the TDP is resorting to lies to cover up its inept & inert governance.Far from being a threat, TDP's exit is a timely opportunity for the BJP to grow in AP. Letter of YSR Congress Party MP YV Subba Reddy to Lok Sabha Secretary-General for moving motion on 'No-Confidence in the Council of Ministers' in the house. TDP MP YS Chowdary to NDTV: We have decided to move out of NDA. We will now bring our own No-Confidence Motion which will be better and more prefect than that of YSR Congress. Taking a radical step today. YSR Cong is bargaining with NDA on Jagan Reddy's cases. Going to put our own Motion, have experience in centre-level politics. The BJP had been expecting the announcement, amid bitter sparring for days with its largest ally in the south, but on the back of its setback in bypolls in Uttar Pradesh and Bihar, it delivers a huge psychological blow. 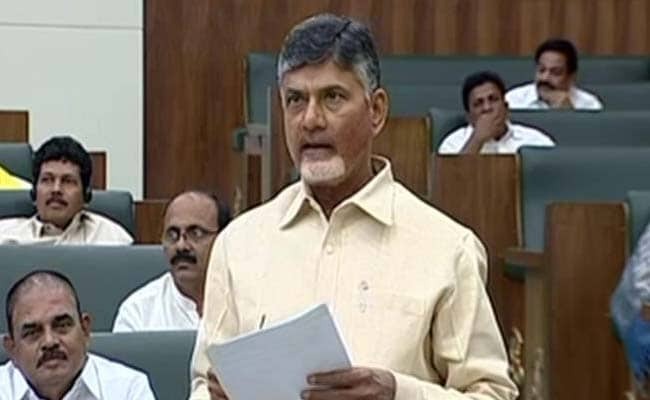 Chandrababu Naidu addressed his party parliamentarians in Delhi through teleconference and reportedly said Wednesday's bypoll results in Uttar Pradesh and Bihar reflected an anti-Modi and anti-BJP wave. The TDP is likely to move no-confidence motion against the centre today.